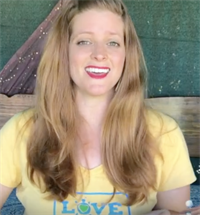 LoveBug & Me Founder & Creative Director, Mary Arden Gorman (aka Miss Mary), is loved all over Los Angeles and beyond for her sweet voice, creative classes, and the heart she brings to every little lovebug. With guitar in hand, she has toured the country, released albums, and has written music for Film & TV, all while exploring a variety of musical styles & world rhythms. It is her passion to introduce little ones to the magic of music, along with their parents. She lives in Los Angeles with her bass player husband and very musical 9 year old son... and new lovebug, Sahara Sky. 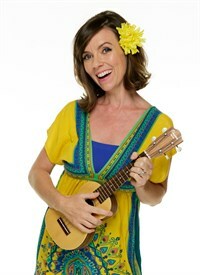 Alana Gentry also known as Alana Banana, was born and raised in Los Angeles and grew up singing, dancing and acting. She's been writing, recording and performing music for over 20 years and her love of working with kids inspired her to co-create and produce The Alana Banana Show which you can find on Youtube or her Alana Banana App! She looks forward to meeting new families and sharing music with all the lovebugs! Miss Julia is a born and raised Californian whose parents taught her the magic of music at a very young age. She is a graduate of the American Musical and Dramatic Academy where she became immersed in the creative world of Acting, Dance, and Musical Theater. During her college career, she took a short break to move back to Monterey where she discovered the true power of music for children with hearing disabilities. Since then, it has become a passion of hers to share her magical musical powers with all the little Lovebugs she can. She also lives her life as a visual artist, painting her visual music across the canvas that is Los Angeles. You can find her in nearly every corner of the city with her ukulele a little bit of paint and a lot of enthusiasm for life as she creates it. Angelica Rowell is a singer, actress, and creative storyteller from the Bay Area. She graduated with a BM in Vocal Performance and a BA in Drama from the University of California, Irvine and moved to Los Angeles shortly after to pursue her career in the arts. Miss Angelica has a background in the musical direction of children ages 3-18 and has taught private voice lessons for years. She has also performed on stage in family favorites such as Disney's Beauty & the Beast (Mrs. Potts), Jane Austen's Pride & Prejudice (Elizabeth Bennet), Webber's Evita (ensemble), and Disney's Peter Pan (Mrs. Mary Darling). When she is not busy in rehearsal or writing; Angelica enjoys trips to Disneyland, binge-watching tv shows, and cooking. Bradley Sharper (aka Mr Brad) is a singer, songwriter and actor, originally from Southern Maryland. 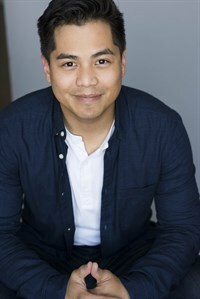 He has a Bachelors of Fine Arts degree from the American Musical and Dramatic Academy and has worked extensively with The Santa Monica Playhouse, performing in countless family musicals and children’s shows. You may run into him around town performing his indie pop music under the name “sharper’s florist”. He is extremely excited to be working with LoveBug & Me, helping to create long lasting memory for parents and their little lovebugs. Max Bergmanis has maintained a life-long passion for music, from his start in Honolulu, Hawaii through his college years at the USC Thornton School of Music and now to LoveBug & Me! He grew up taking piano/vocal lessons, as well as studying the art of music composition. However, it wasn’t until he discovered rock ‘n roll that his musical love affair really kicked into gear. These days, you can find Max teaching piano in Los Angeles or tickling the ivories at some of city’s most well-known venues. He also works with non-profit music organization, Harmony Project, to bring music to low-income Los Angeles areas. He looks forward to embarking on a magical music journey with each of his LoveBug families! Miss Deborah has been fortunate to be a performing actress/singer/dancer at numerous theaters for most of her life. 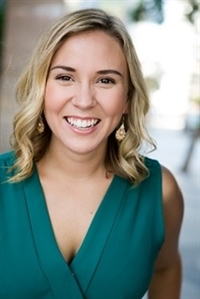 Some favorite experiences include her post-graduate studies at LAMDA (The London Academy of Music and Dramatic Art), working professionally for seven years at Arizona’s famous Gaslight Theatre, teaching yoga to adults and children, touring children's schools with a Shakespeare company, creating and producing her own all-woman show. You can even catch her on stage this Summer as Mary Poppins at the Glendale Centre Theatre. You can buy tickets HERE. Deborah lives in Los Angeles with her producer husband and two young daughters, and is very grateful for the opportunity to teach for LoveBug and Me. Melvin Biteng came to the US all the way from the Philippines in 2011 for college at AMDA in both LA and NY. He got his BFA in Performing Arts Musical Theatre in 2014 and has been performing all over LA since then. 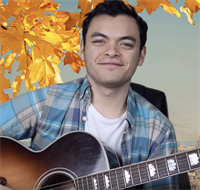 You can find him singing on theatre stages or in cafés all around town. He also does poetry, dance and videography in his spare time. 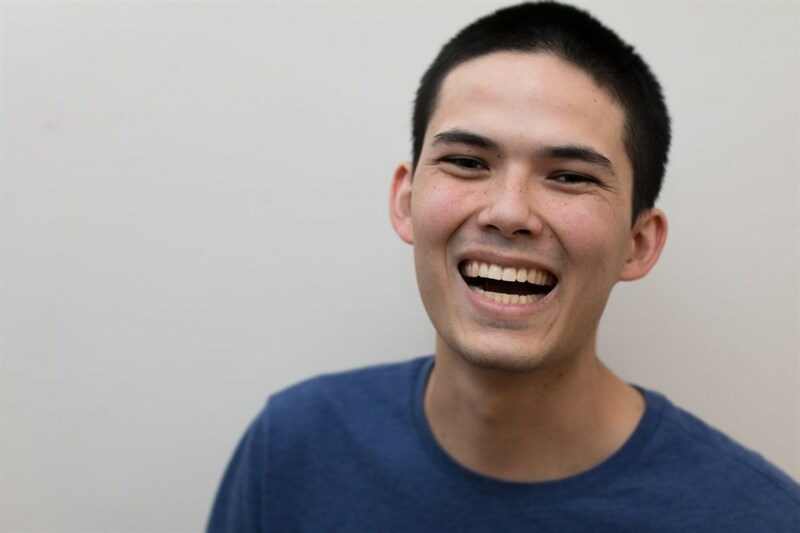 He is excited to be teaching kids the joy and importance of music and looks forward to creating many wonderful memories with our LoveBug families! "It's wonderful to be part of the Lovebug family. My son loves it so much! At home, he'll pretend to be Mr. Mel, and he'll talk to other kids and play on his guitar while singing all of the songs." 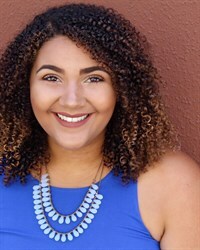 Miss Lexi is originally from Florida and is a graduate of the American Musical & Dramatic Academy where she studied Musical Theatre, Voice & Dance. She has portrayed Belle onstage in "Beauty and the Beast" among other live, film and TV performances. She has a sweet voice to match her personality and is a natural princess. Our little lovebugs love her! Miss Lindsay studied Vocal Performance at The University of Miami, and went on to sing and tour internationally with the band “Or, the Whale”. She has performed live on Good Morning America, NPR’s Mountain Stage, and The Fillmore West Auditorium, and her songs have appeared on PBS’s Roadtrip Nation, MTV, and The Young and The Restless. "We loved Miss Lindsay's energy and happiness!" - Kristin M.